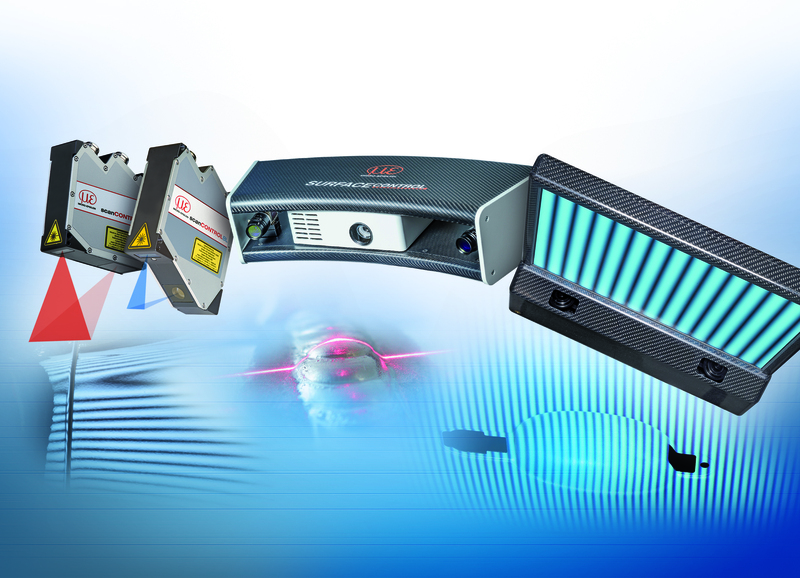 Micro-Epsilon offers a wide range of solutions for 3D surface inspection. The reflectCONTROL and surfaceCONTROL systems are intended for easy, fast and reliable inspection of mat and shiny surfaces based on deflectometry and fringe projection. Therefore, even the smallest of defects can be recognized reliably. The scanCONTROL laser profile scanners operate almost independent of surface properties and generate 3D point clouds which can be used for further evaluation and processing purposes. reflectCONTROL is intended for surface inspection of shiny objects. The compact deflectometry sensor, which consists of a monitor for the fringe projection, as well as up to two cameras, can be integrated as a stationary system or guided over the measurement object by a robot. The localized deviations and defects are evaluated and displayed in CAD data. The surfaceCONTROL series is designed for the inspection of diffuse surfaces such as metallic surfaces (uncoated, electroplated, EPD), plastic surfaces and ceramics. The sensor based on the fringe projection principle scans the surface and generates a 3D point cloud. This point cloud is subsequently evaluated using specially developed tools in order to recognize extremely small defects and discontinuities on the surface. 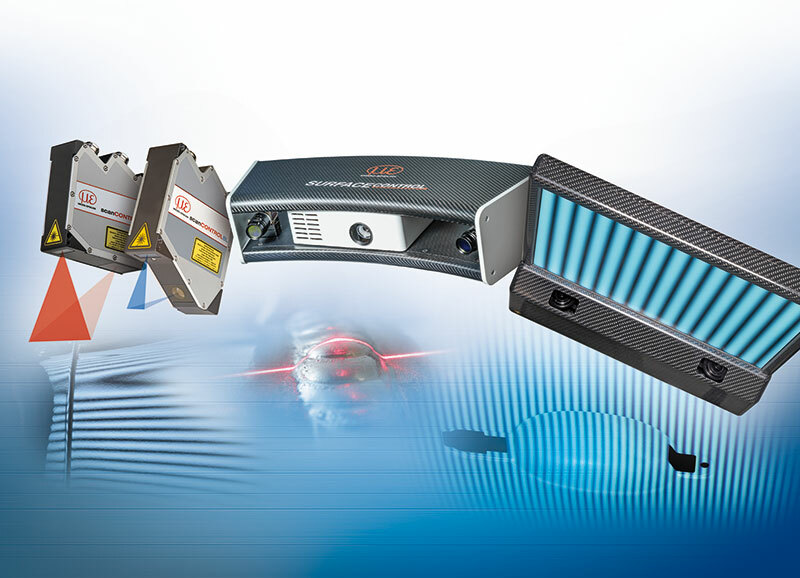 scanCONTROL laser profile scanners are among the highest performing profile sensors in the world, equipped with an integrated, powerful controller that calculates two-dimensional surface profiles. 3D surface inspection using laser scanners from Micro-Epsilon can be carried out during the ongoing operation of the production line, i.e. during continuous flow and with continuous materials. The laser scanners achieve high lateral resolutions up to 8µm, which enables them to recognize particularly small deviations. Laser profile scanners are also used for surface inspection of extruded plastic parts such as window profiles, wooden boards in a continuous process, rotating tires and clutch discs, and the inspection of train rails at high speeds.